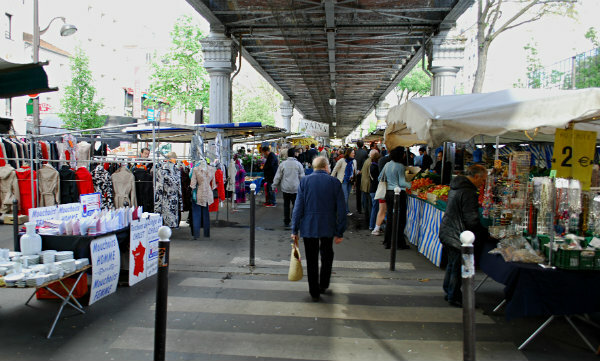 Underneath the overhead line 6 metro track on Wednesdays and Sundays, you’ll find one of the best markets in Paris. 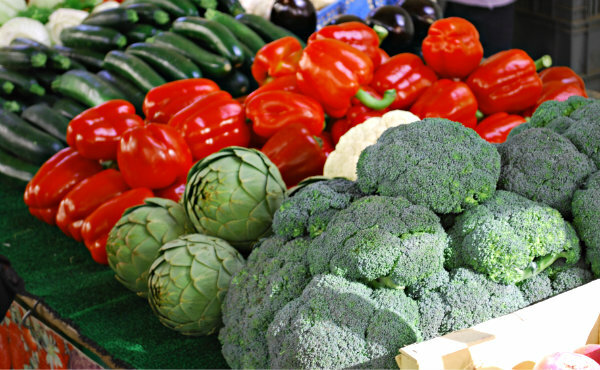 It’s packed with goodies like freshly made bread, wines, clothes, cheeses, fruit, vegetables, cooked and fresh meat. 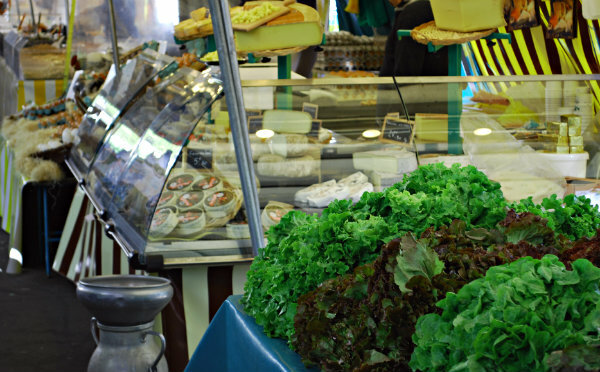 Parisians flock here to do their shopping, but increasingly you’ll find tourists here too looking for traditional French produce or just to soak up the sounds and the smells! The market runs between the Motte-Piquet and Dupleix Metro from 7am to 2.30pm although we’ve seen some trading beyond that time on Sundays. Spend some time walking through the stalls and it will be one of the highlights of your Paris trip. This is an extract from our free Paris City Guide. As the day progresses, the market stall holders slowly run out of their goods, so if you want to buy, the best quality stuff goes earliest. If you just want to browse, then go any time and if you want to eat, then around lunchtime many of the stalls sell home made dishes. The last time we were there we saw paella, roast chicken, pizza, cheese baguettes etc. 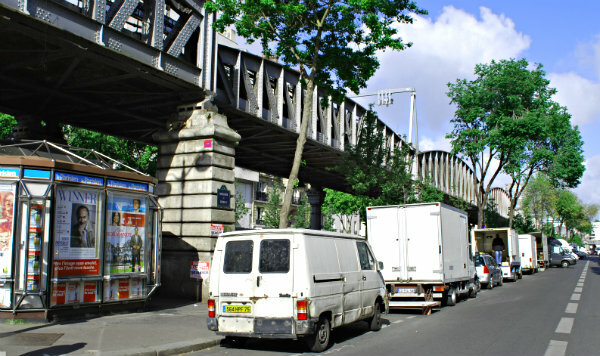 Once you’ve finished at the market, there are more shops in the area surrounding La Motte-Piquet Grenelle metro station. There’s a Monoprix supermarket, some lovely cafes, pâtisseries and other food shops. There’s even a Starbucks here now! This part of Paris is a lovely area to stay in with quiet streets all in the shadow of the Eiffel Tower. Our favourite hotel in Paris, Hotel Ares Eiffel, is just off the Blvd de Grenelle and we thoroughly recommend staying here for a slice of boutique luxury at an affordable price. By Metro, you can get off at either La Motte-Piquet Grenelle or Dupleix as the market runs between the two stations underneath the metro line.